If you are interested in taking part in the Survival Run, an application and approval are required before registering. The 25km and 50km are currently open to all registrants. Survival Runners, if you are not already training, then you are not going to be ready for this race. Survival Run does not care about your 5km PR, or even your 100km or 100 mile PR. Throw your expectations out of the window and start training to adapt. In Survival Run, the fastest and strongest do not always excel. Survival Run is not a grueling military ruck march, just as much as it is not a speedy jaunt through manicured singletrack trail, it is a test of true survival. No CamelBaks, Hydration Packs, Water Bottles or any other type of modern water carrying device (other than this one). Your first assignment is to make a container to carry your water. This is the only item you can carry for water during the race, and you cannot start the course until it is tested and working properly. Many traditional cultures, from Australia to India, Ethiopia, Eastern Europe etc. 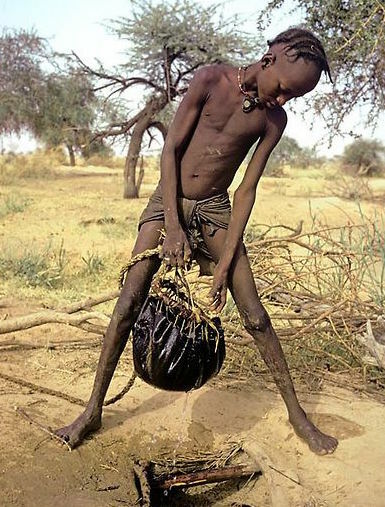 have used animal skin, seaweed, wood, fabric, grass and many other materials to fashion water carrying devices. In this vein, all competitors of Survival Run Australia 2015 will be required to fashion and carry a similar item. No guide is provided, just a set of standards to work with. Bag must hold a minimum of 3 Liters! *You can make multiple bags that hold up t0, or more than 3 liters. Bag must hold water without leaking profusely (enough to keep 2 liters for up to 5 hours at a time) - this is essential as you will go without water if it is not well constructed! Bag material must be made of leather, no Plastic or artificial materials, no liner! Artificial materials may be used for sealant and assembling bag (keep in mind you are drinking from this). Make sure your water filter system works with this bag. Think carefully on how exactly this will work during the race. You can use a lid or spout made from artificial materials. The durability and construction of the bag will be examined at packet pickup, you will not receive your starting number until bag is approved by race staff. The idea here is that you will race with your own handmade leather bag as it is your only water vessel during the race. The kind of filter or spout system, how you get the water in and out of your bag, filtered or unfiltered is not an issue. What is important is that the bag does not contain a plastic or other type of artificial liner, this defeats the purpose of making your own water vessel.